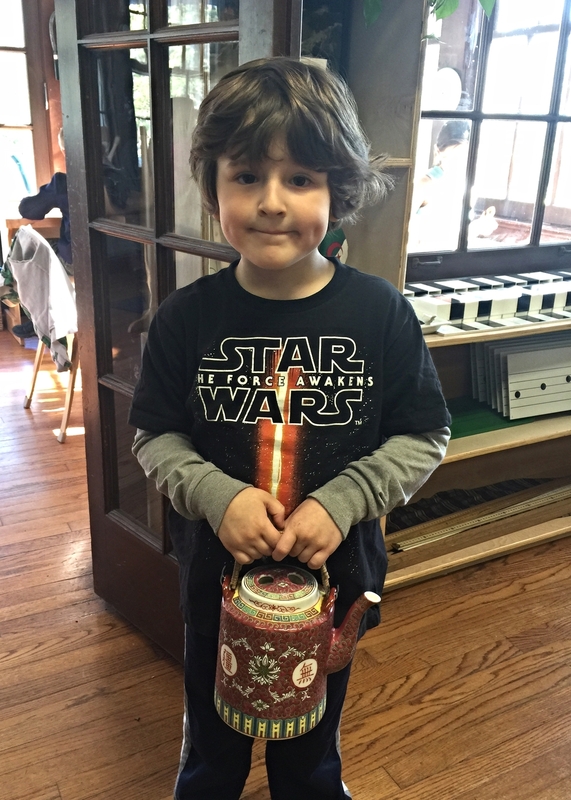 The students in Mrs. McAuley’s Primary classroom make daily rounds to each classroom, kindly offering freshly brewed tea (honey optional!) to the staff members as a grace-and-courtesy experience. 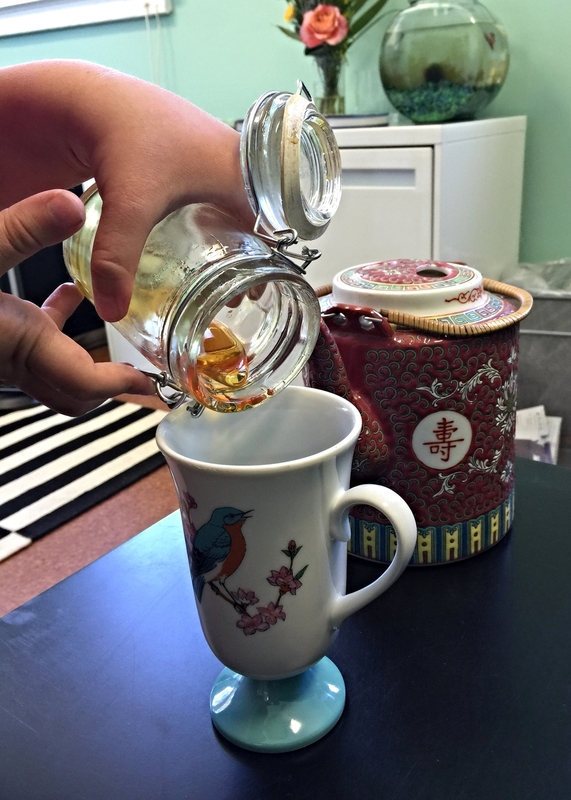 “Serving tea and/or coffee is a part of the primary curriculum referred to as Practical Life. It incorporates cultural elements as well as Grace and Courtesy. We teach these lessons in order to help the child become an active, contributing member in the classroom community and eventually in society. 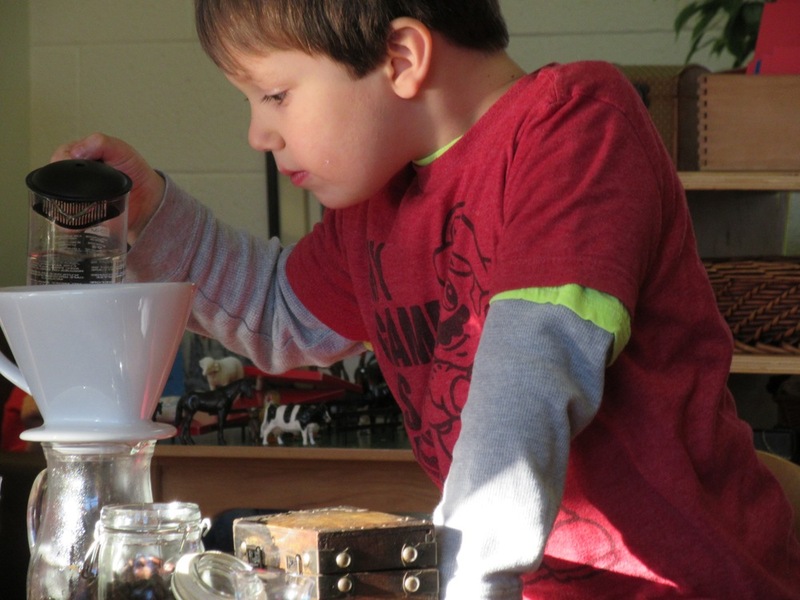 It also helps the child gain confidence in his or her abilities. 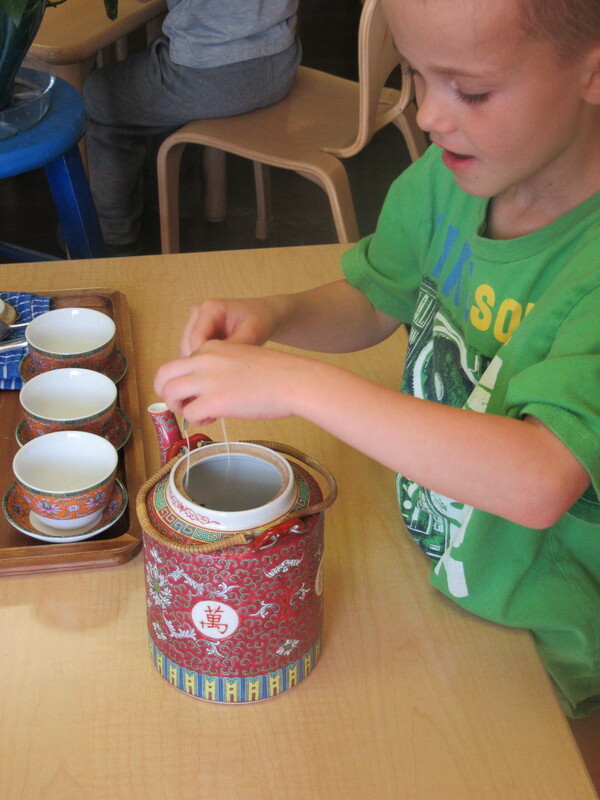 Serving tea and coffee is one of the tools we give the child to show him how to act and conduct him or herself in relation with other people. This activity is considered one of the civilities of our society and a social grace that brings positive feedback from those who are served. Serving tea/coffee is actually a relatively complex activity that elicits many acquired skills and weaves them together. The lesson is reserved for the older role model in the community and requires careful movements, awareness of surrounding activities, reading and communication skills. The children need to first approach the guest and extend an invitation by asking if the individual would like tea or coffee. 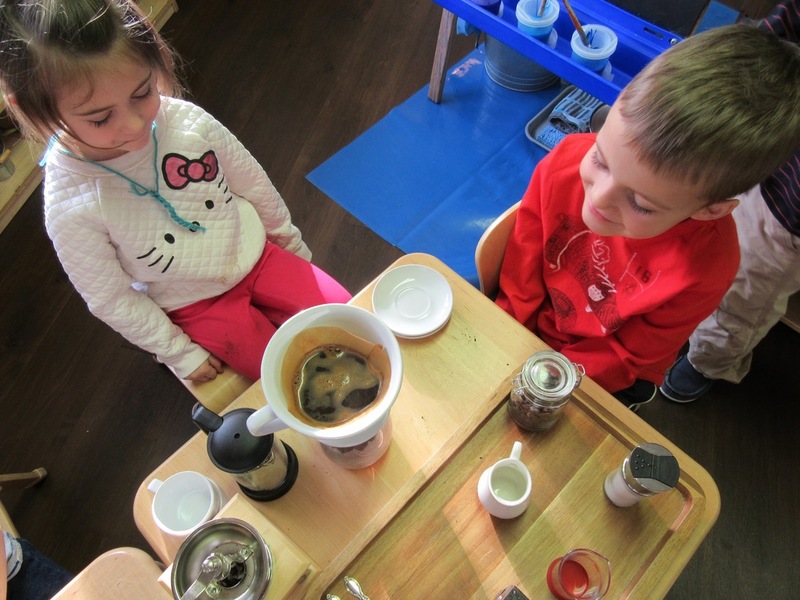 They need to share what kind of tea or coffee they have to offer and ask, “Would you like milk, honey or sugar?” They then have to remember the order and know what equipment is needed and how to arrange it on the tray. After the coffee or tea is made, they very carefully carry it over to their guest.